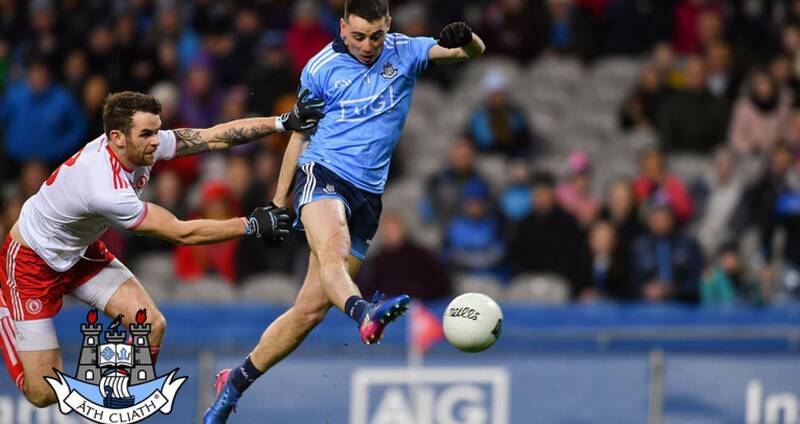 Dublin will not appear in this year's FL Division 1 final after being deservedly beaten by an energetic Tyrone in Saturday night's clash at Croke Park. Despite scoring an early goal when Cormac Costello's pace and finish, following great defensive work by Paul Mannion, in the fourth minute gave Dublin a great start they played second fiddle for most of the game. Tyrone also saw the game out in comfortable fashion despite the dismissal of forward Niall Sludden (yellow/black) in the 50th minute. The Ulster side defended in numbers but broke forward will telling conviction while Cathal McShane and Mattie Donnelly caused problems for Dublin's defence who were left exposed on several occasions. Dublin might have had a second goal in the opening half but Costello was denied by the influential Niall Morgan in the 28th minute. Costello's night was over before half-time when he hobbled off injured and he was not the only Dublin player that had to be replaced with injury as John Small and Paddy Andrews added to the number of Dublin troops in casualty. “That level of performance from the Dublin players certainly is not good enough, at this level you’ll be found out," said Dublin manager Jim Gavin afterwards. “Our passing was certainly off in many phases of play. Our shot selection was very poor. “Against a quality side like Tyrone, they are going to punish you at the far end and they got some great scores and, as I said, fully deserved winners. “We have nine weeks now to run to championship, you take every game on its merits, you want to do well in every game you play in the league because they are quality games. “But certainly a performance like that will certainly give the management team a lot to reflect on and certainly give the Dublin players a lot to reflect on, because that just isn’t good enough," he concluded. Tyrone led 1-7 to 1-5 at half-time in front of an attendance of 19,927 - their goal a 21st minute effort from McShane after David Byrne failed to cut out a long angled low delivery. The Red Hands were still two to the good when Sludden was sent off by ref Jerome Henry (Mayo) but Tyrone's response was vital to the victory as they reeled off the next three points through Richie Donnelly, Peter Harte and Cathal McShane (mark). Dublin lifted themselves for one final surge with the likes of Jonny Cooper lending his services to the attack to some effect. Ciarán Kilkenny grabbed a point and then had a goal attempt from 14 metres blocked by Ben McDonnell in injury-time. Paul Mannion fired over a free to leave the gap at three points while Colm Basquel was foiled late on by a Mattie Donnelly block. To add to Dublin's woes Paddy Andrews, who had been introduced for the injured Cormac Costello, suffered a broken jaw in the second half which required surgery. SCORERS - Tyrone: C McShane 1-4 (0-2m, 0-1f), M Donnelly, P Harte (0-2f, 0-1m) 0-3 each, N Morgan (0-2f), R Donnelly 0-2 each. Dublin: P Mannion 0-4 (0-2f, 0-1m), C Costello 1-0, D Rock (0-2f), C Kilkenny 0-2 each, C O’Callaghan, B Fenton, P Andrews 0-1 each. TYRONE: N Morgan; R McNamee, P Hampsey, HP McGeary; K McGeary, F Burns, C Meyler; B McDonnell, B Kennedy; P Harte, N Sludden, R Donnelly; T McCann, C McShane, M Donnelly. Subs: R Brennan for McCann (inj, 12), C McAliskey for Burns (60), C Cavanagh for McNamee (62), D McCurry for Kennedy (70). 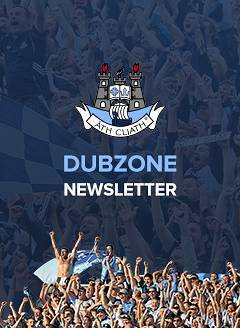 DUBLIN: S Cluxton; J Cooper, D Byrne, C O’Connor; J McCarthy, C O’Sullivan, J Small; B Fenton, B Howard; N Scully, C Kilkenny, C O’Callaghan; C Costello, P Mannion, D Rock.Subs: D Daly for Small (inj, 31), P Andrews for Costello (inj, 35), K McManamon for Andrews (inj temp, 48), D Gavin for O’Sullivan (57), E O’Gara for Rock (60), C Basquel for Scully (74).